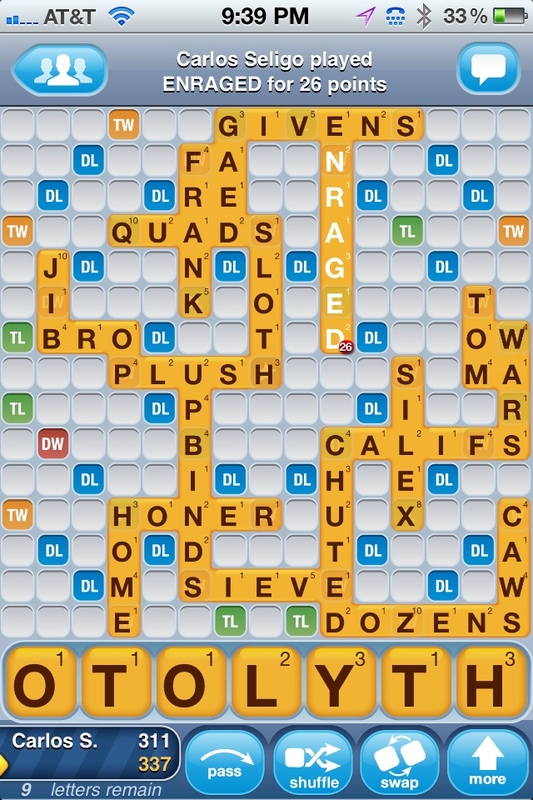 Both games are about scrambling letters up into words, and both make heavy use of the anagram-loving part of me. But I’ve noticed that the two games produce very different mental states. The reason has to do with how they make use of time. There’s no Y in “otolith”. And besides, there’s no place to play it. In Scrabble, there’s no time limit. You’re free to take as long as you want to play a word, but you can’t take it back once you’ve played it. The effect that has, on me anyway, is to make me an optimizer. I try to find the best possible word for the given moment, taking everything into account: the score, the state of the board, the consonant-to-vowel balance of my rack, how many letters are left, and so on. It’s a complex mix of concerns, and sometimes I just can’t see any option that’s clearly the best. But because I know my vocabulary is limited, I always suspect that a better word is out there that I’m just not seeing. When this happens, I get stuck, unable to play, effectively paralyzed. 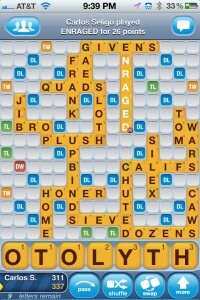 So Scrabble as a game makes me happy when I’m doing well, and miserable when I’m not. It’s not so much about the score of the game, as whether I’m measuring up to some abstract ideal of the perfect player. What a headache! Is “squarey” a word? I dunno, let’s try it and find out! In Boggle, there’s a hard time limit, and the goal is to find as many words as you can in that time. Some words are worth more than others, of course, but it’s usually better to find lots of small words than a handful of huge ones. So when the clock starts ticking, I just start finding words as fast as I can, with no time wasted on judging good from better. And what I find tends to happen is that small words lead to bigger words, in a stream-of-consciousness kind of way that’s energetic but not stressful, and just a lot of fun. I only pop up to look at the big picture when the vein I’m mining runs dry. And before I know it, time is up, and I’ve finished my turn exhilarated by the effort. Sometimes I win, and sometimes I lose, but I always enjoy the game. And enjoying the game, feeling that state of flow and fun, directly impacts my ability to play it well. What this has to do with animation, or any complex creative work, should be pretty clear. You can approach a new shot in either way: give yourself all the time in the world to find the best possible idea, or give yourself a hard time limit (to accomplish some part of the job) and just start exploring, and then see what you’ve got when your time runs out. I’ve experimented with the size of the task and the length of the time limit. And what I’ve noticed surprised me: the shorter the time limit, the more fun I have. And more fun leads to better quality work. I do still feel the urge to optimize sometimes. But on my best days, I’m too busy playing to notice. Any professional animator can tell you that animating well is only half of the job. The other half is being able to work well with others: directors, supervisors, your fellow animators, other departments that depend on you, etc. One of the biggest struggles I see animators face is how to handle changes. Because animation is so time-consuming, it’s easy to think of your work like it’s a kind of architecture: first you must lay down a strong foundation, and then you can start building walls, etc., and finally put on that sweet paint job that makes it look awesome. 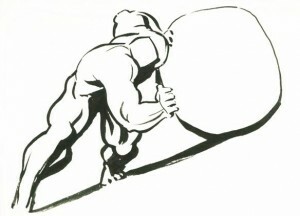 Sisyphus, by Marcell Jankovics. Not just a metaphor for your worst day at work, it's also a great short film! This view is certainly true at a technical level: once the idea of the shot is clear in your mind, the process of blocking, breaking down, and polishing does have a kind of one-directional feel to it. It can be hard to go back and adjust your blocking after you’re well along in the polishing process. So, if for any reason you get notes from your director that change your blocking significantly, it can feel pretty bad. But if you think this technical process is what your work is about, you’re completely missing the big picture. Your real job as an animator is to find and execute the best possible performance. The performance is not made of keyframes and curves, any more than it’s made of bricks and concrete. It’s made of ideas. That is what you’re here to find. The part of animation that’s like building a house? That’s just the execution of the ideas. If you’re executing the wrong ideas, it’s like building your house in the middle of the road. No matter how good it looks, it’s not going to be a nice place to live. So here’s a trick to help you deal with changes: learn to love destroying your own work. Genuinely enjoy it. Relish it. Specifically: you have to enjoy the process of destroying as much as you enjoy creating. Make it fun. Make it something you’ll look forward to, if you’re given the chance to do it. Remember when you were a little kid? 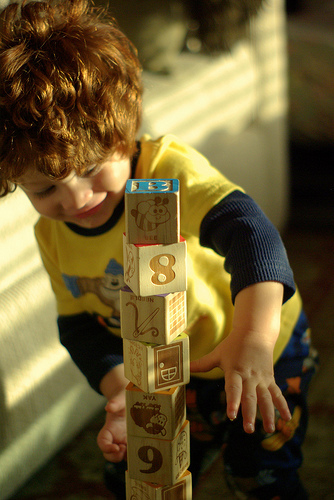 Did you ever make a huge tower of blocks, just so you could knock it down and make a huge crash? Remember how you wanted to do it over and over again? Destruction can be delicious fun. So before you bring your shot in for review, take a moment to contemplate its utter demolition. Step back and take a hard look at your shot, and ask yourself: if I had to smash this to bits, how would I do it? Which parts would I smash at first? If I had to start again, what would I do differently? Savor that idea for a moment. And bring it with you to your review. This is your wrecking ball. If the director asks you to make a major change, it just means you’ve got permission to use it. And when you do, you can do it with gusto. Sometimes, when you’ve worked on one shot for too long, you can go a bit blind. It’s a very specific kind of blindness, one that prevents you from seeing mistakes you’ve made and opportunities you may have missed. It seems to happen to every animator at some point, and it is deadly to the creative process. There are tricks you can use to get around it. You can hold a mirror up to the screen to see the shot from a fresh point of view. You can step away for a few minutes, or a few days, or longer. (One time I was able to step away from a shot for a full year: boy did I see it with fresh eyes at that point!) And of course you can show other people. But once the effect has set in, your own perceptive powers are severely diminished. 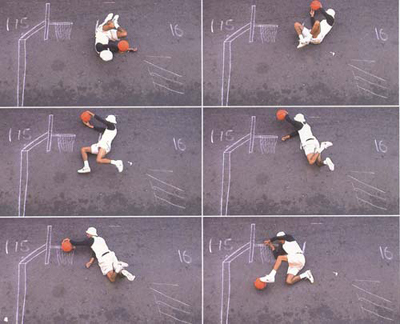 I have a hunch that the main cause of this is the simple act of watching your shot over and over again. In psychology there’s a concept called habituation: any stimulus repeated long enough reduces your sensitivity to that stimulus. It’s the reason why you notice the sound of the dishwasher when you first walk into the kitchen, but eventually it fades into the background. In the early days of animation, watching a shot in progress play back at full speed was a luxury animators didn’t have. To do that required shooting key drawings onto film, developing the film, threading it into a projector, and so on: an expensive and time consuming process. And yet, great animation still got made: animators planned very carefully and learned to do most of the work in their heads. In the early days of computer animation, it was much the same, though for different reasons: we’d have to wait for an overnight render to see our work at speed. "Hypnotizing", photo by Patrick Breen. Nowadays, animators have digital tools that allow for instant, real-time feedback, which for the most part is a tremendous aid. But it also makes it very easy to hypnotize yourself with all those looping stimuli. 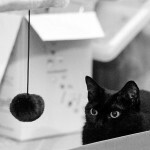 If you want to stay sharp, it’s critical that you delay the onset of animation hypnosis as long as you possibly can. So what I try to do is avoid watching my shot while I’m working on it. I’ll watch it once, twice, maybe three times, and then jot down my thoughts about what needs doing. Then I go to work, keeping narrowly focused on each detail as I go. If I have to play some part of the shot at speed to judge some nuance of weight or gesture, I’ll hide everything but the body part I’m working on, so as not to get distracted. Once I’ve addressed all of my notes, only then will I watch the shot as a whole again. It takes a kind of discipline that I can’t always muster. But when I succeed, it feels great. And as a side benefit, I find I get more real work done in less time: after all, time spent looking at your shot is not time spent working on it. "Sissi ipnotizzata", photo by screanzatopo. I’d love to have some way of counting how many times I’ve looped my shot, to see if there’s a certain magic number where hypnosis sets in. What would that number be? 500? 5,000? You could make a game of it, a la “Name That Tune”: challenge yourself to finish a shot with the absolute minimum of viewings. How low could you go? Ten loops? Three loops? Zero? What would 120fps mean for animation? Following up on yesterday’s post about higher frame rates in movies, there’s another question looming. If high frame rates catch on industry-wide, what will it mean for animators? We won’t really know for sure until the movies start coming out. But we can guess. There are televisions on the market that will play movies at 120fps regardless of how the movie was shot. They do this by creating the inbetween frames automatically, in real time. (How exactly it’s done, I’m not sure, but it’s probably some sort of optical flow technique, like Twixtor.) When you see this done to a live action movie shot at 24fps, the effect is impressive: movement really does feel incredibly smooth, and the strobing/juddering problem is minimal. But if you watch an animated movie on one of these TVs, the results are not good. Timing that felt snappy at 24fps feels mushy at 120. Eyes look bizarre during blinks. And don’t get me started on smear frames. Of course, this is just a machine trying its best to interpolate frames according to some fixed set of rules. Animators will be able to make more intelligent choices, which of course it’s our job to do. But that’s where it gets interesting. 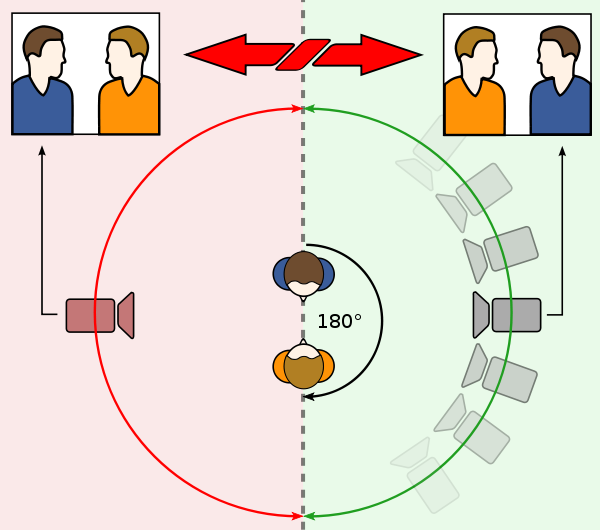 How many frames should a blink take at 120fps? What’s the upper limit on how snappy a move can be, if you can potentially get from one pose to another in a mere 8 milliseconds? It could open up new creative possibilities too. Take staggers for example: at 24fps, if you want something to vibrate really quickly, your only option is to do it “on ones” (that is, alternating single frames). But at 120fps, you could potentially have staggers vibrating on anything from ones to fives. How will those different speeds feel to the audience? One thing seems pretty certain: animating at 120fps would be a lot more work. For animators who agonize over every frame, it will mean five times the agony. It will certainly mean more reliance on computer assistance: more spline interpolation, fewer hand-crafted inbetweens, and forget about hand-drawing every frame! I look forward to hearing animators’ stories from the trenches on Hobbit. Will they find 48fps twice as hard, or more, or less? What tricks will they have to invent to make their job manageable? There’s been some discussion brewing among certain filmmakers about the impact of making movies that play faster than the current standard of 24 frames per second. Peter Jackson is shooting The Hobbit at 48fps, and others are reportedly experimenting with rates like 60 or even 120. Mixed into the discussion are some really deep misconceptions about how vision and perception actually work. People are saying things like “the human eye perceives at 60fps”. This is simply not true. You can’t quantify the “frame rate” of the human eye, because perception doesn’t work that way. It’s not discrete, it’s continuous. There is, literally, no frame rate that is fast enough to match our experience of reality. All we can do, in frame-by-frame media, is to try to get closer. The problem is that our eyes, unlike cameras, don’t stay put. They’re active, not passive. 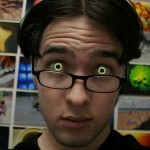 They move around in direct response to what they are seeing. If you watch an object moving past you, your eyes will rotate smoothly to match the speed of the thing you’re looking at. If what you’re looking at is real, you will perceive a sharp, clear image of that thing. But if it’s a movie made of a series of discrete frames, you will perceive a stuttering, ghosted mess. This is because, while your eyes move smoothly, each frame of what you’re watching is standing still, leaving a blurry streak across your retina as your eyes move past it, which is then replaced by another blurry streak in a slightly different spot, and so on. This vibrating effect is known as “strobing” or “judder”. Click the image to see a demonstration of the "judder" effect. This is what your eyes actually see when you watch an object moving back and forth on a movie screen. 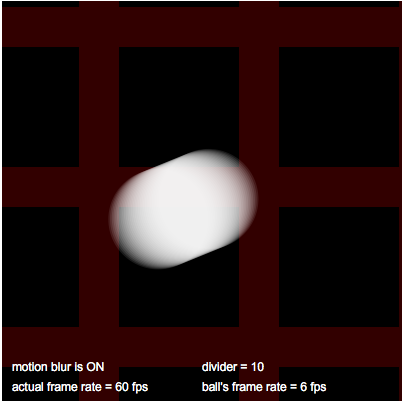 Even with motion blur, you can see that there's a distracting sawtooth vibration to the ball that can be reduced, but not eliminated, by increasing the frame rate. Filmmakers tend to work around this problem by using the camera itself as a surrogate for our wandering eye: tracking what’s important so that it effectively stays put (and therefore sharp) in screen space. But you can’t track everything at once, and a movie where nothing ever moves would be very dull indeed. I am pretty sure there is no frame rate fast enough to completely solve this problem. However, the faster the frame rate, the less blurring and strobing you’ll experience as your eyes track moving objects across the screen. So I am extremely curious to see what Jackson’s Hobbit looks like at 48fps. There’s a second problem here, which is cultural. My entire generation was raised on high quality feature films at 24 frames, and poorer-quality television (soap operas, local news) at 60 fields per second. 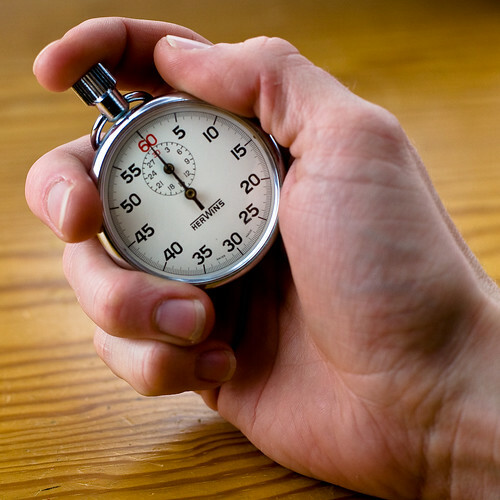 As a result, we tend to associate the slower frame rate with quality. Commercial and TV directors caught on to this decades ago, and started shooting at 24fps to try to get the “film look”. How will we perceive a movie that’s shot at 48fps? Will it still feel “cheap” to us? And what about the next generation, raised on video games that play at much higher frame rates? What cultural baggage will they bring into the theater with them? Forgotten, and remembered, by Google. So, while going through this whole website restoration process, I discovered that Google’s search engine (funny how you have to be specific about that, now that Google is no longer just a search engine…) seemed to have completely forgotten this site ever existed. If you searched for “Cassidy Curtis” or “how to make a baby” or even “otherthings.com”, you’d find no results whatsoever on this domain. Zero. Considering that a few weeks ago this site was the top search result for all of those phrases, that seemed pretty weird. But I figured it was just because our server had crashed, and it was taking Google’s spiders some time to crawl back over to my little corner of the web. The truth turns out to be a bit creepier. I only found out the true nature of the problem by visiting Google’s webmaster tools, where I found an anonymous message dated October 20th, explaining what had happened. The message was sent to nobody, or maybe it was sent to my old email address, the one that died with my old server. At any rate, I never received it. But Google being the ultimate data hoarder, it archived it, and it was waiting for me when I identified myself as the owner of this domain. Here’s what I learned: Remember a few years ago, when my blog got hacked? Well, the hacker in question used this blog’s machinery (Movable Type, at the time) to plant a nasty little trove of fake web pages advertising all the usual types of internet snake oil, the kind of stuff that usually gets caught in your spam filter. Well, when I switched over to WordPress, I never bothered to delete the old files, I just moved them to a different location, figuring that would break any incoming links and neutralize the problem. (I know, bad idea, right? This is why you should never let me be your sysadmin.) It didn’t work. Somehow, said hacker managed to find the files, and keep using them for their nefarious purposes. The files were full of sleazy code that did things like: showing one thing to human visitors and an entirely different thing to search engines. Google doesn’t like that. So it reacted, in its anonymous, machine-like way, the only way it knows to respond: it removed otherthings.com entirely from its search engine. Harsh! Luckily, Google lets webmasters appeal that decision once they’ve fixed the problem. They said “it may take several weeks for your site to show up in search again”, but in actuality it only took a day. Why was this creepy? Because it revealed just how much power this one corporation has over the shape of how we communicate. If you displease Google, it can make you disappear. Now maybe this was his choice of words, and maybe it was the translator’s, but I found this response pretty revealing. 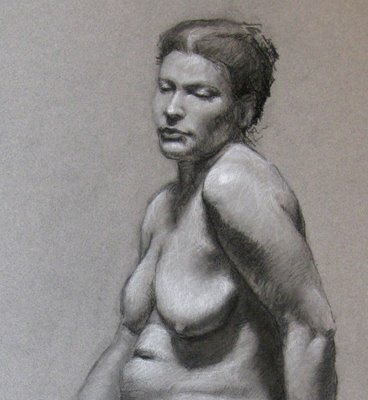 It reflects a thought process about what animation is, in which drawing is central to everything. If what you’re trying to do is draw a scene, a pencil really is faster than a computer. But is that necessarily true? Is animation, at its heart, about drawing? Tonight I learned that one of my favorite graffiti spots, London’s “Undercroft” skatepark, has temporarily been taken over–or rather been given over by the authorities–to an artist named Robin Rhode. If you search Google or YouTube you can see some of the guy’s work… some of it is actually kinda interesting, but nowhere near cool enough to justify shutting down the Undercroft for a whole week, in my opinion. His schtick seems to be taking a series of photos where he draws some stuff in chalk on the wall or floor, and then photographs himself a bunch of times miming some kind of simple action, like waving a flag made of bricks, or slam-dunking a basketball into an imaginary basket. He shows the work as a series of photos in a gallery, or a videotaped slide show of same. The London-based graffiti writers in my Flickr circles have been putting him down because he’s an “artist” (as opposed to a writer), and in this case, they have a point: everyone else who paints at the Undercroft does so on their own time and resources, and at their own risk. Then, here comes this guy with a team of contractors to do the heavy work of priming the walls for him, so he can stroll in and do his drawings. And Southbank Centre actually shuts down the skatepark for a whole week just to give him room to do his thing. That’s got to bother a lot of people, given the strong anti-authority thread in the subculture: “real” graffiti writers don’t ask permission, and they certainly don’t hire assistants to do their dirty work. Graffiti writers, in a way, created the Undercroft. It’s hard not to feel like this action is taking their baby away from them. For my part, I get irritated when art critics credit Rhode as doing “stop-frame animation“, when all he’s ever produced is a mere storyboard of an action. What he’s doing is almost animation, but it’s not really, because he never seems to shoot enough photos (nor have a strong enough grasp of the principles of motion) to make it work–it certainly wouldn’t play well at 24 frames per second–so instead he shows it as a series of stills. Pretty weak sauce, especially when there are artists like Blu out there doing full-on hand-painted animation on the street. And so I find myself wanting to hate on the guy, even though we’ve never met. What’s interesting to me is that what these two responses have in common: both animation and graffiti require a lot of skill, effort, dedication and time. So when someone steps into either territory who doesn’t seem to be willing to put in that effort, it’s going to bother the people who live there. Anyway, Rhode’s intervention is scheduled to end on October 4th, so it’ll all be over shortly. I look forward to seeing the writers and skaters take back their Undercroft with extreme prejudice. I always felt that the original Matrix missed a great opportunity, when they used that stupid battery metaphor to explain why the machines needed humans. Supposedly they depended on us for our “bioelectric energy” or some such nonsense. 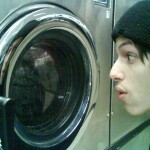 Pins and needles as the sole power source for a planetful of machines? Yeah right. That and $3.50 will buy you a lukewarm cup of coffee. And even if you did buy that line, why humans? Couldn’t they have found a more useful species, like, oh I don’t know, electric eels? No. There had to be a better explanation. It didn’t take long to figure it out: the real reason the machines needed humans was to solve the problems that were hard for machines. Being intelligent, they recognized that every intelligence solves some problems more efficiently than others. So, rather than destroy us, they simply took advantage of our inherent capacities. But in order to do so, they had to make us want to solve their problems. The best way to do that? Make us believe that we were solving our own problems. Thus the Matrix: an artificial virtual world full of dark, terrible situations, designed to make us solve problems we wouldn’t otherwise care to solve. Need a new high-tech weapon? No problem: just assign every person in the Matrix to one of two imaginary superpowers, and make them go to war. History has shown that with the proper motivation, humans will invent all kinds of horrible stuff. Anyway, I bring this up now because of an interesting post by Clive Thompson over at Collision Detection, about humans being used in exactly this way: to solve problems that are hard for machines. See also Thompson’s 2002 article on the same subject. We’ve used computers as our render farms for years now. How appropriate that they should start using us as vision farms. And how strange that this should turn out to be not just a better narrative device for a sci-fi movie, but actually true. I, for one, welcome our new machine overlords.